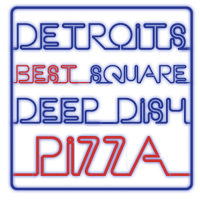 Located in the heart of beautiful downtown Detroit, one block from Greektown Casino, Niki's Greektown Pizza is Detroit's Best Square Deep Dish Pizza. 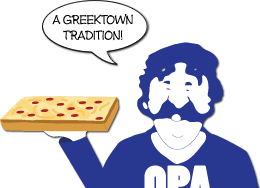 Served alongside Authentic Greek Cuisine, with a wide variety of Greek and Traditional Toppings to choose from, you can see why Niki's Pizza has been voted one of America's top 25 pizzas by GQ Magazine. 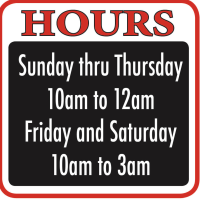 Whether you're looking to dine outside on a nice summer day, or hang out and watch the game on one of our flatscreen televisions with a drink from our full service bar, Niki's is sure to end up on your list of Detroit's best. Take home a bottle of our own fresh bottled Greek Dressing, and don't forget to order the saganaki, Opa! Just See What People are Saying.